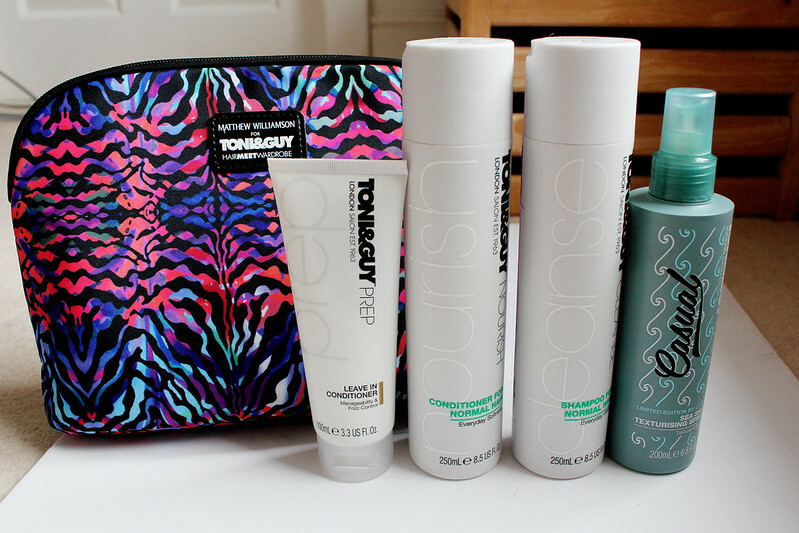 I'm so excited to be able to give not just one of you but 10 of you the chance to win this amazing goody bag from Toni and Guy! 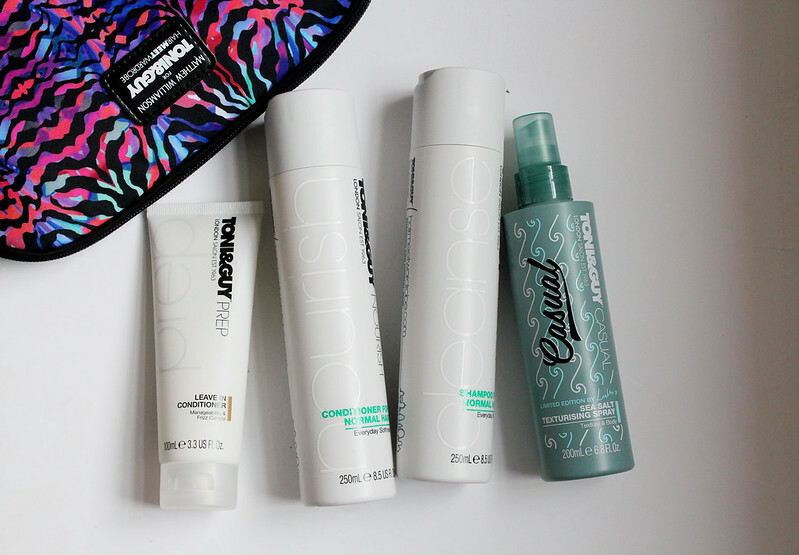 Toni and Guy have teamed up with Matthew Williamson to create this gorgeous washbag and their filled with goodies for me to give to you guys! Inside each one of these goody bags is a leave-in conditioner, Conditioner for normal hair, Shampoo for normal hair and Sea salt texturising spray. I've never used Toni and Guy products on my hair and I've tried the shampoo and conditioner already and they smell amazing! This is such a perfect giveaway ! 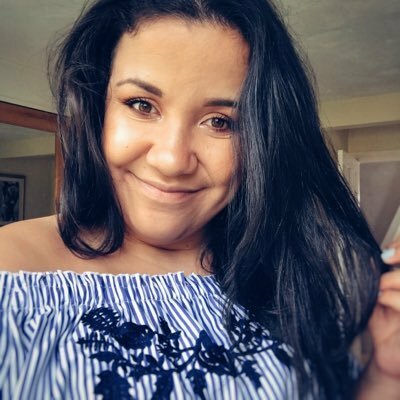 Thank you Becca! You are such a twinkle and so generous for sharing your ideas and spreading inspiration through your blog! Nice give away Im in!